Google's Transparency Report is published to show the public what governments and companies want to know about us. It can get pretty personal. And the government wants more. The FBI is now using National Security Letters to obtain information from Google. These NSLs have now been included in the Transparency Report give a general gist on how frequent the FBI is doing this. When conducting national security investigations, the U.S. Federal Bureau of Investigation can issue a National Security Letter (NSL) to obtain identifying information about a subscriber from telephone and Internet companies. The FBI has the authority to prohibit companies from talking about these requests. 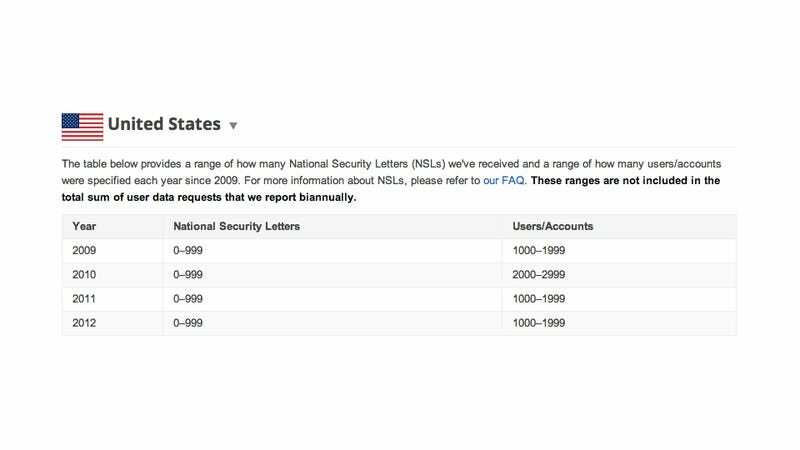 But we've been trying to find a way to provide more information about the NSLs we get-particularly as people have voiced concerns about the increase in their use since 9/11.